Germany’s second largest bank by assets saw pre-tax profit jump in 2018 after a 5 percent increase in underlying revenue. Improving returns make the lender a more attractive partner from Deutsche Bank’s view. Its own shareholders may conclude the company will be better off alone. A Commerzbank logo is pictured before the bank's annual news conference in Frankfurt, Germany, February 9, 2017. 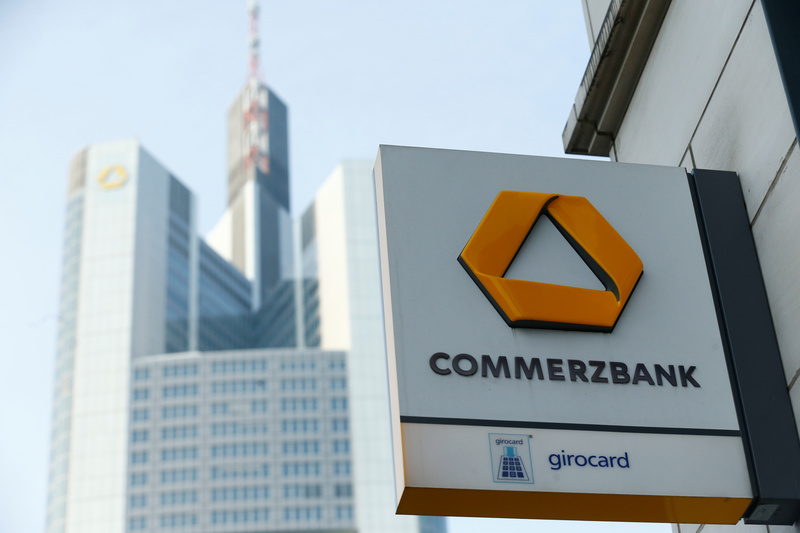 Commerzbank on Feb. 14 reported 2018 operating profit of 1.2 billion euros, up 8.4 percent from a year earlier. Revenue excluding one-off items rose 5 percent over the same period, to 8.6 billion euros. The bank’s return on tangible equity rose to 3.4 percent from 0.5 percent in 2017. Commerzbank’s common equity Tier 1 capital ratio was 12.9 percent at the end of December, compared with 13.2 percent three months earlier. The bank, which is still partly owned by the German government, proposed a dividend payment of 20 cents per share for 2018. Domestic peer Deutsche Bank on Feb. 14 rebuffed calls for deeper cuts at its struggling investment bank, citing an overhaul in 2018. Its comments came after the Financial Times reported that four of the bank's 10 biggest shareholders wanted the lender to make cuts at its investment division, particularly in the United States. The FT report, citing unidentified sources, said at least four members of Deutsche Bank's supervisory board shared the view. Commerzbank shares were up 2.5 percent at 6.38 euros by 0925 GMT time on Feb. 14. Those in Deutsche Bank were down 1.9 percent at 7.43 euros.